Bay leaf has been a culinary staple dating back to ancient Greek civilizations. Cooks use it fresh or dry. Many won’t serve spaghetti sauce without it, but few grow their own. Bay leaves come from a medium to large evergreen shrub known as bay laurel. These woody plants can grow 10-12 feet tall. They are not a fast grower, which can be an advantage for their use as a landscape plant. If your landscape were a comedy act, bay laurel would be the straight man. These shrubs don’t have dominating flowers or intriguing variegated leaves. Their aroma isn’t appreciated until we use them in cooking or simmering potpourri. They do have a dense growth habit which makes a great hedge or foundation plant. Leathery leaves with a smooth edge emerge from stems singly. Flowers are pale yellow-green and less than half an inch in diameter. They are born in pairs beside a leaf. Plants are dioecious, meaning entire specimens are either male or female. Fruits ripen in early winter but aren’t used in cooking or as a major food source for wildlife. Unless planted in a protected spot shrubs risk cold temperature injury in a harsh winter. Other than that they have few pest or disease problems. Bay laurel thrives in a variety of soils and tolerates shade but is more adaptable to sunny locations. Plants have extremely good drought and heat tolerance. Deer don’t like them either. Sometimes called sweet bay, they are native to the Mediterranean region and are no relation to the sweet bay magnolias found in our swamps. Early Greeks and Romans used the aromatic leaves in many different ways. The leaves have maximum oil content during early and mid-summer. I find they still give sufficient flavor to marinara sauce through their dormant season. Generally, leaves are removed before eating. They have sharp edges that can irritate gums and out digestive system. However, I have seen recipes where leaves are used in ground form. In addition to culinary use, many people use extracts from sweet bay to fight dandruff. To prepare this herbal rinse, boil a quart of water and add about three level teaspoons of crushed bay leaves. Let the leaves steep in the covered pot for about twenty-five minutes. To use this concoction, wash and rinse hair as usual. Then rinse again with this tea-like preparation. After some vigorous massaging, rinse with this solution again. Leave the concoction on the hair for an hour or so. Then rinse with plain water. According to numerous sources, regular use will keep dandruff from recurring. This same tonic is sometimes used internally to treat an upset stomach and reduce gas. Its strong diuretic properties will rid the body of excess water. This could be a problem during hot summer days. 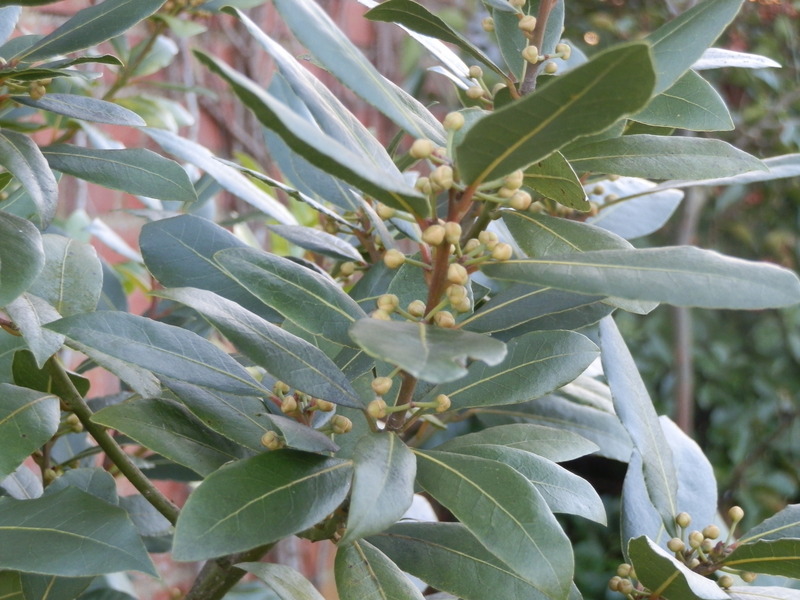 Many sources tout the high nutritional value of bay laurel foliage. High levels of Vitamins A and C as well as folic acid reside in these leaves. To take advantage of these vitamins chew on the fresh leaves as cooking denatures most vitamins. Ted Manzer teaches agriculture at Northeastern High School in Elizabeth City, NC. 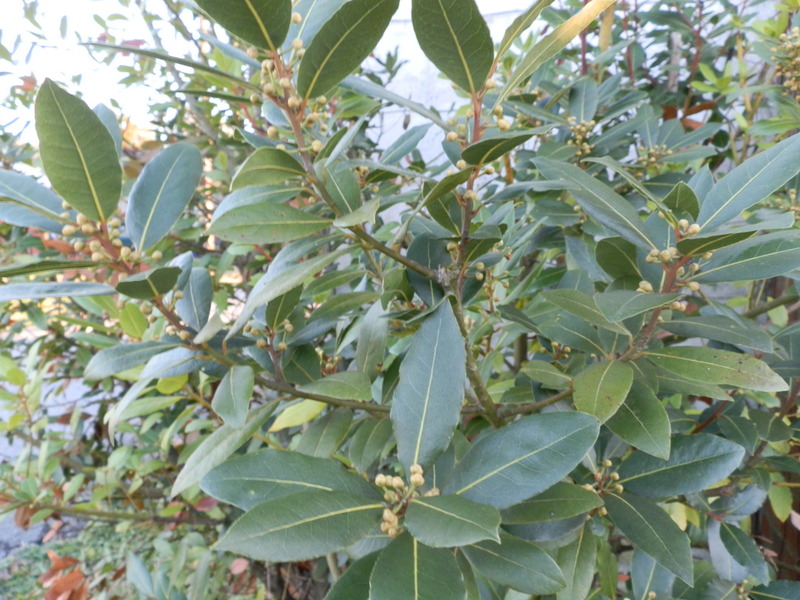 This entry was posted in foraging and tagged bay laurel, bay leaf, diuretic, evergreen shrub, fight dandruff, marinara spice, sweet bay. Bookmark the permalink. They have very High levels of Vitamins A and C as well as folic acid reside in these leaves.THis type of Bay leaf has been used dating back in Ancient greek civilizations.THey have a dense growth habitat makes a great foundation plant.This plat is used to fight dandruff to use its extracts,But you would have to rinse really really good. Bay leaves are very common in Italian dishes. They actually come from a medium to large evergreen shrub called bay laurel. They are pretty easy to take care of. They need to be protected from the winter weather but other than that they have few pest or disease problems. I find it interesting that deers don’t like them considering the wide range of plants that they do eat. Bay leaves are very common in Italian dishes. They actually come from a medium to large evergreen shrub called bay laurel. They are pretty easy to take care of. They need to be protected from the winter weather but other than that they have few pest or disease problems. I find it interesting that deer’s don’t like them considering the wide range of plants that they do eat.